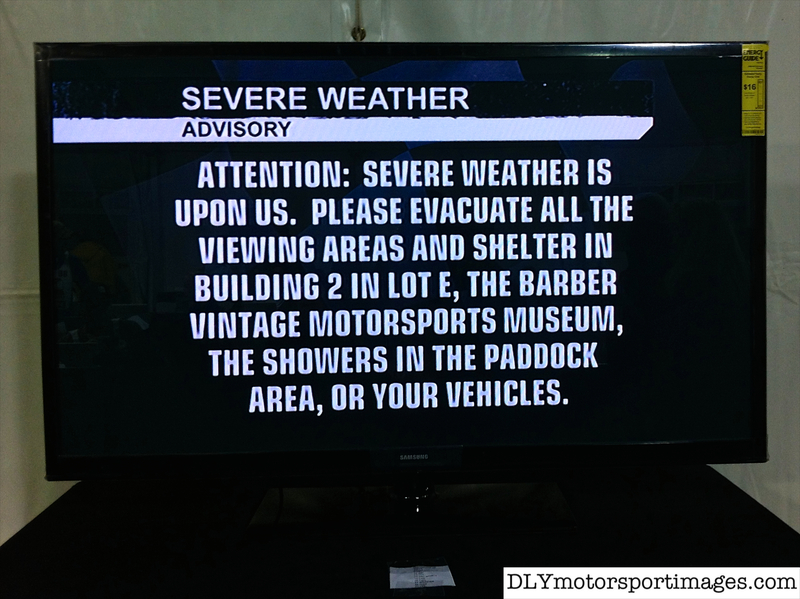 The start of the IndyCar race on Sunday afternoon was delayed due to heavy rain and thunderstorms. The weather was so severe that organizers advised everyone to find shelter in permanent structures. However, the storms cleared after a couple of hours and the 100-minute timed race started with 23 cars on a wet track. After 69 laps, Ryan Hunter-Reay won the race driving the #28 DHL Andretti Autosport, with Marco Andretti in the #25 Snapple Andretti Autosport runner up, and Scott Dixon in the #9 Target Chip Ganassi Racing placing third. Hope you like the photos. From a photographer’s perspective, I really enjoy photographing in the wet due to the dramatic images that can be captured. So when it was announced the race would start, we all prepared by putting on our wet weather clothing and rain covers on our camera equipment, then headed off to the track, expecting more rain during the race. However, it ended up, the race would run under over cast skies, with late afternoon light, and no rain. For the race session, I went back to the inside of the track in the “Spider” area so I could capture the start as the cars raced down the Turn 4 to 5 hill, and during the race as they sped down the Turn 11 to 12 straight with “rooster tails” of water streaming behind them.